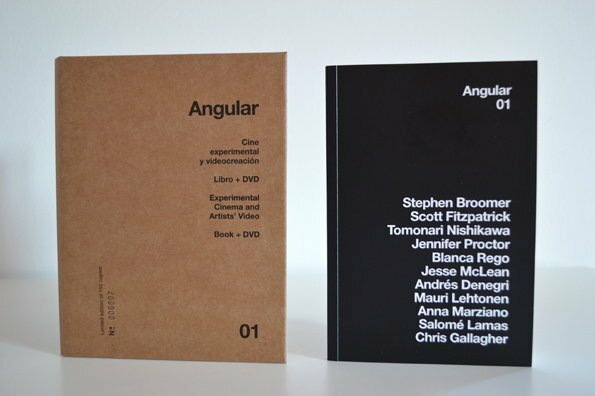 Angular is an independent and self-financed spanish DVD publisher, dedicated to the dissemination of current international experimental film and artists' video. Each volume will include a printed booklet with analytical texts on the works selected and also critical essays, written by specialists and programmers. The first issue in the series will be released in the first quarter of 2014, and its distribution will be online through this website, at least at its early stage. Periodicity of the volumes will depend on the trajectory of the project. The objectives are clear: to support international experimental media and to give it the attention it deserves, especially unorthodox films devoted to aesthetic and formal issues, regardless of production formats. The programming content of Angular includes those pieces that challenge the conventional narrative forms and any kind of academicism. The labels we use, experimental film and artists' video, must be understood with flexibility. We all know that these definitions are open. Angular´s team consists of Albert Alcoz and Alberto Cabrera Bernal, both filmmakers, who will lead the collection with a small-scale infrastructure model but with the best judgment possible. Any collaboration will be appreciated, especially those from critics and independent programmers.